Metric Tube – To dairy standard! Metric tube and fittings has been the standard within the paper and pulp industry for many years. Uniquely, the system employs a common bore per size, irrespective of the wall thickness being used. Many companies are finding that this system represents an economical, longer lasting and more aesthetically pleasing alternative to traditional pipework such as galvanised steel and schedule 10/40 stainless. Tube is cold rolled, welded construction, Manufactured according to EN 10357, bead rolled. If you have a specific requirement please ask our sales team. 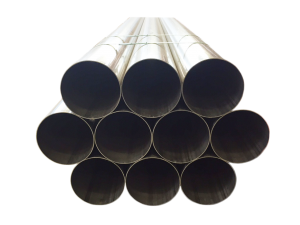 We can supply pre-flanged pipes to order. Lighter than welded schedule NB pipe. No weld inclusion in bore. Stocked in 304L & 316L. Supplied in a brushed finished. Smaller / Larger sizes available on request. Please note: Not all sizes, grades, and finishes necessarily available from stock, and maybe on a lead-time.